The folks over at POM Wonderful graciously sent me a box of their 100% pomegranate juice a few weeks back. It was very kind of them. The only problem is that I don’t drink much juice and neither does my family. So, instead of drinking the juice, I decided to try out POM Wonderful in a recipe. I had been looking to change up my usual way of preparing pork tenderloin and thought that a nice pomegranate marinade or glaze would make a great meal. Since I was too lazy to try to create my own recipe, I checked online and found this pork tenderloin with pomegranate glaze recipe on www.myrecipes.com. I made a few slight changes and went from there. The meal was a huge hit with my family and we all thought the POM glaze was fantastic. 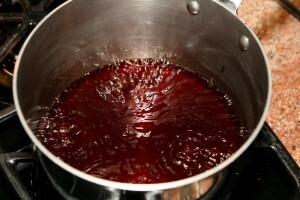 Combine juice and sugar in a medium sauce pan over medium heat and bring to a boil. 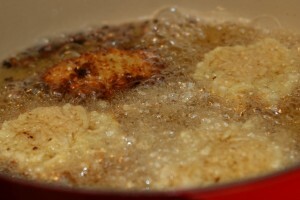 Cook until reduced to 1/2 cup. Pour half of the glaze into a small bowl and set aside. This portion will be used on the cooked pork, so make sure to keep it away from the raw pork! Hanukkah is over tonight, which means that I won’t be seeing any more of these dangerous little suckers for another year. My waistline (what’s left of it) and cholesterol level are both thankful. I didn’t make the latkes this year, which was nice. Instead, my mother-in-law prepared these while the Dude took pictures. What did I do? Nothing but eat. That was the best present of all. I don’t usually gloat about my cooking. In all honesty, I fail just as many times as I succeed. 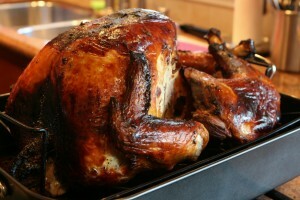 But, thanks to Chef Ryan (my guest chef for Foodie Friday last week), my Turkey Day was a hit! My immediate family is spread out far and wide, from Hawaii to Boston to Afghanistan. Needless to say, we miss quite a few holidays with everyone. But, fortunately this year, I was able to have a wonderful Thanksgiving with my mom, my mother-in-law, the Dude, and the Monkey. It might have been small, but it was lovely. For that, I am thankful. I ate so much that I didn’t even leave room for dessert. That’s a first! But we’ve got leftovers for days. Weeks even. I may even have to extend Foodie Friday over the weekend to discuss some great tips for all those Turkey Day leftovers. Hope everyone had a great holiday, even if you couldn’t be with everyone you love. 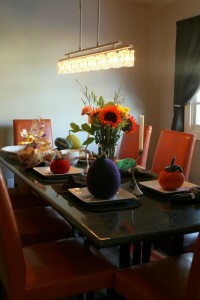 My tablescape, complete with felted fall produce created by my mother-in-law. How cute are they? I wish I was that crafty. 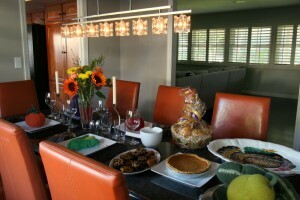 Another view of my tablescape, including the pumpkin pie I didn’t touch. I’ll get you tomorrow, pie. Guest Post: Foodie Friday Special Edition — This Ain’t Yo Mama’s Turkey! Chef Ryan to the rescue! My Special Guest Chef, Ryan Gromfin, trained at and graduated from Johnson & Wales Culinary School and has been a professional chef for over 12 years. Chef Ryan has worked at a number of 5 star hotels and restaurants, including the Mansion on Turtle Creek in Dallas and the Peninsula Hotel in Beverly Hills. After years of working in fine dining establishments, Ryan is now applying his culinary expertise and experience to restaurant development and operations in the Central Coast area of California. First of all, I wish people would cook turkey more often than just on Thanksgiving. If you choose to prepare your turkey using my method you will see that you don’t need to cook your bird for 8 hours, taking up the entire oven, and basting it every 20 minutes. It also doesn’t need to take up all the room in your fridge for 3 days. I gave up cooking whole turkeys many years ago because I hate dried out white meat that needs cranberries and gravy just so you can swallow it. I also decided a few years back that, as much as I love cooking Thanksgiving, I also enjoy spending the time with my family rather than only in the kitchen. Along with everything else included in my Thanksgiving menu, my turkey is prepared a day or two before, and only needs about 2 hours to cook. The trick is cooking the legs/thighs separately from the breast. This turkey carves easily, presents beautifully, tastes amazing, and guarantees success. Foodie Friday is my newest weekly series about all things food. What does food have to do with a parenting blog? Everything. Other than love and shelter, children rely on us to nourish them well and help them grow healthy and strong. Food fuels the body and feeds the soul. I love cooking almost as much as I love eating. I will be sharing my own family recipes as well as advice and recipes from professional chefs. Foodie Friday won’t just be about recipes. I’ll be discussing other aspects of food, such as sociopolitical issues related to food and American food culture, in general. As I dish about dishes and feed your mind, I hope you work up an appetite for some good eats! 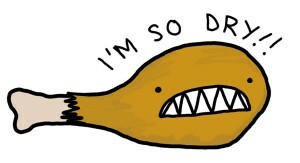 To get this Foodie Friday started, I need to discuss my most important icon for all things foodie and fabulous. 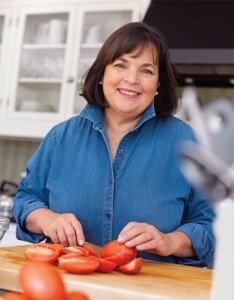 I’m talking about none other than The Barefoot Contessa. Ina Garten is the Barefoot Contessa and if you’re not familiar with her, please set your DVR to the Barefoot Contessa program on Food Network. What I love most about Ina’s cooking style is that it’s simple and elegant. Sure, her recipes tend to lean in the hearty (read: fattening) comfort zone, but she can also whip up delicious recipes that are very healthy and lean. Her lemon and garlic roast chicken (minus the butter and bacon) has become a weekly staple in my house. I found myself watching her program years ago and I became fixated on her approach and cooking demeanor. She also has this soothing and reassuring voice, as if to say, of course you can cook that! Some people take issue with her suggestions for “good” products only, such as “good” olive oil or “good” salt, which I take to mean expensive. She also always suggests homemade chicken stock. As much as I value her culinary opinions, I also value my time and wallet much more. I buy decent quality products that aren’t expensive and I buy chicken stock.